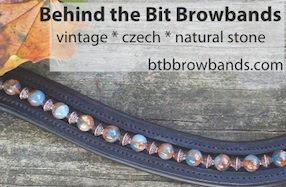 Behind the Bit: Two Horse Tack: It's raining reins! Two Horse Tack: It's raining reins! BTW, this is not a paid testimonial. When I got my new Horze bridle (which I still love), I did not use the reins that came with them, First of all, Riley needs extra long reins. Secondly, I love my reins from Two Horse Tack. Two Horse Tack makes tack from Beta Biothane, which is a wonderful material, especially for tack. It looks like leather. I would show with these reins in a heartbeat. Beta Biothane wears like iron. It cleans up easily with soap and water. Two horse Tack reins are economical, starting at $18, and come in a variety of colors as well camo, high reflectivity, and rhinestone-studded! The reins come in many different styles, for different disciplines. A high-grip option is available. Reins tend to take a beating, and I love my Twho Horse Tack reins. They look new and I can just hose them off. 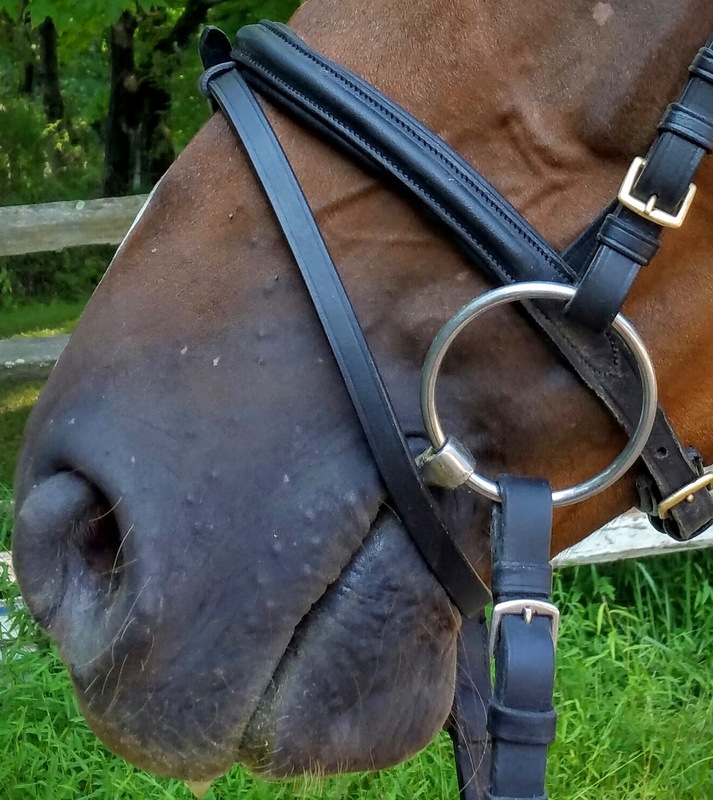 Go to their site and take a look at the many styles of bridlework -- western, English, medieval, Australian, mule, hunting, endurance, you name it! Oh, by the way, they are great folks to work with if you have a custom request AND, they support equine rescues. Most of their "models" are rescue horses. 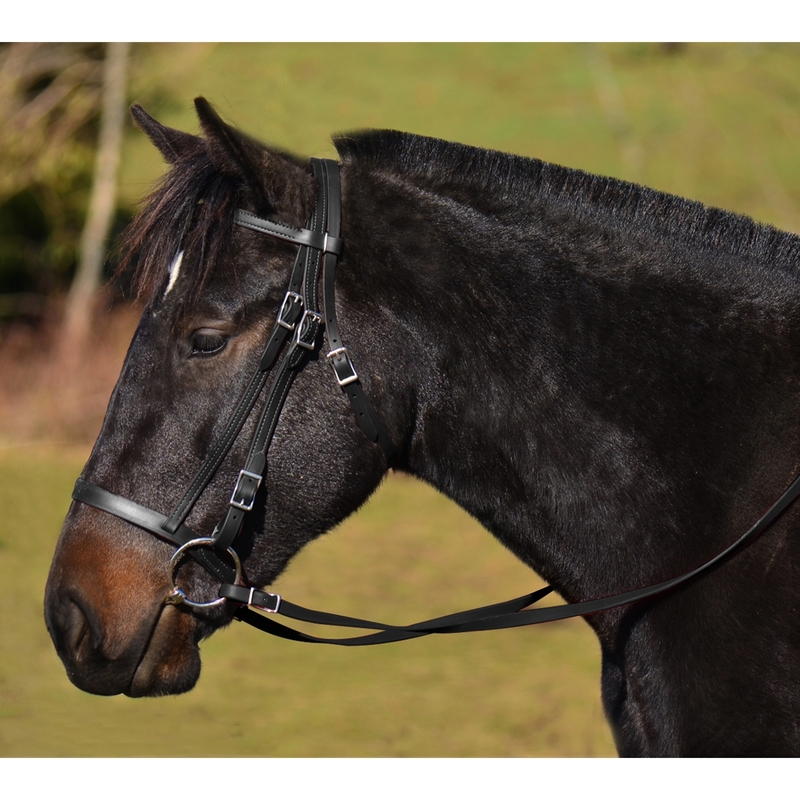 The hunter bridle on a handsome horse! These are lovely bridles. I of course had to look at their medieval bridles--nice stuff. However, I got quite a chuckle out of their Icelandic bridles. The headstall goes over the bit, not under it. But what they show is quite functional. And I love the Icelandic bling bridle. I need to think about rhinestone and color combinations on a chestnut horse. Humm...light blue and iridescent maybe? I am going to have to think about this.